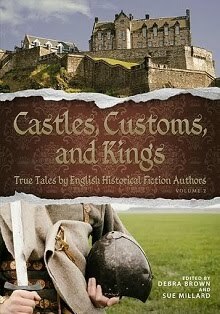 Enjoy this week's articles from English Historical Fiction Authors, and don't forget to comment on the Giveaway post! In July of 1689, the first battle of the Jacobite rebellion took place up in Scotland. I see some of you wrinkling your brows: for most people, the Jacobite rebellion is an 18th century thing involving Bonnie Prince Charlie and the brave Highlanders. Well, before there was a bonny prince there was an ousted king, grandfather to the young man who led the clans to their death at Culloden. 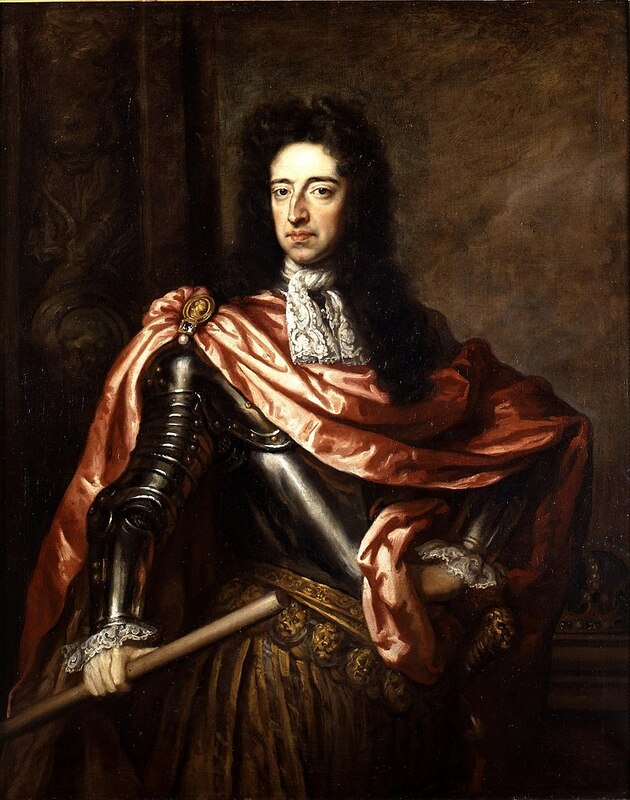 In 1688, James II of England was faced with a most unpalatable challenge: seven of his Protestant grandees had offered the English crown to James’ son-in-law, William of Orange, and his daughter, Mary. Why? Well, the Protestant powers-that-were had been made most nervous back in June of 1688, when James II’s second wife, Mary of Modena, presented him with a healthy son. One would assume the birth of a prince would have been greeted with joy. Problem was, James II and his wife were Catholics. The baby boy was therefore a vile papist, and England in the late 17th century was not exactly tolerant when it came to papists. The birth of little James Francis Edward was, according to the good Anglicans, a catastrophe. Prior to his birth, James’ heir was Mary, safely married to that most staunch of Protestants, Dutch William. With the baby prince, the English could potentially face a dynasty of Catholic kings, a fate to be avoided at all costs, even if the cost was treason. No sooner was baby James Francis Edward born but the rumours started: the baby was obviously a changeling, smuggled in via a warming pan to replace the stillborn babe Mary of Modena had birthed. Anyone who has seen a warming pan and compared it size wise with a living baby would realise transporting a newborn child in one was risking the baby’s life, but people were more than happy to believe this lurid tale. Poor James. Poor Mary of Modena. This was a couple who’d seen more than their fair share of babies die away from them and now, when at last there was a healthy son, they had to listen to all this evil gossip. Even worse, it seemed it was James’ two eldest daughters who had fanned these rumours into life. In November of 1688, William landed in England. Upon his arrival, there was a general stampede among James’ closest men, all of them falling over their feet in their eagerness to declare themselves for William. Not all Protestants sided against James. Very many remained loyal to their king. 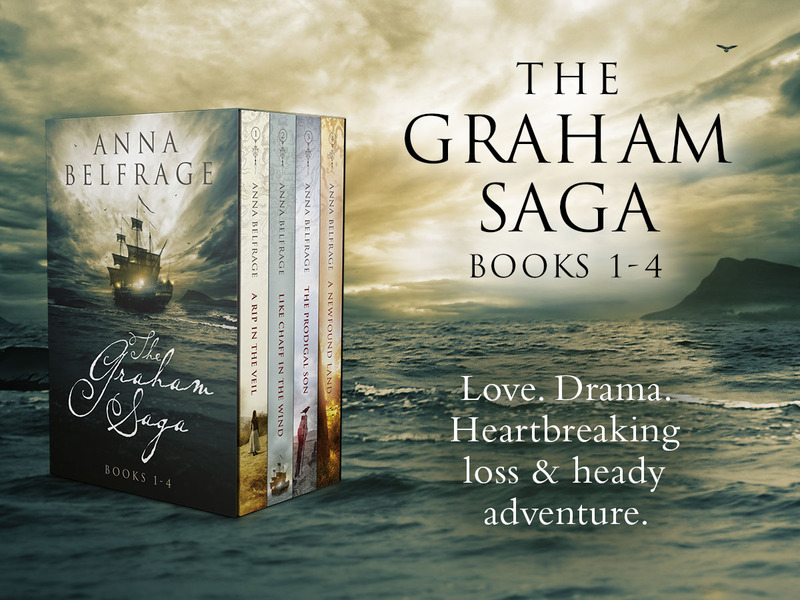 James was a proven general and as his army was superior to that of William, one would have thought he’d chase his son-in-law straight back into the North Sea. Problem was, James lost his nerve. First, he had no desire to submerge England into yet another civil war—he remembered well the terrors of the previous war. Secondly, too many of the men he had trusted and believed in had turned their backs on him. So James dithered. Never a good thing to do. William did not dither. Come December, James was a prisoner of his son-in-law, but William found all this rather uncomfortable so he obligingly looked the other way when James “escaped” and fled to France, where his wife and baby son were waiting. Back in England, those loyal to James regrouped. 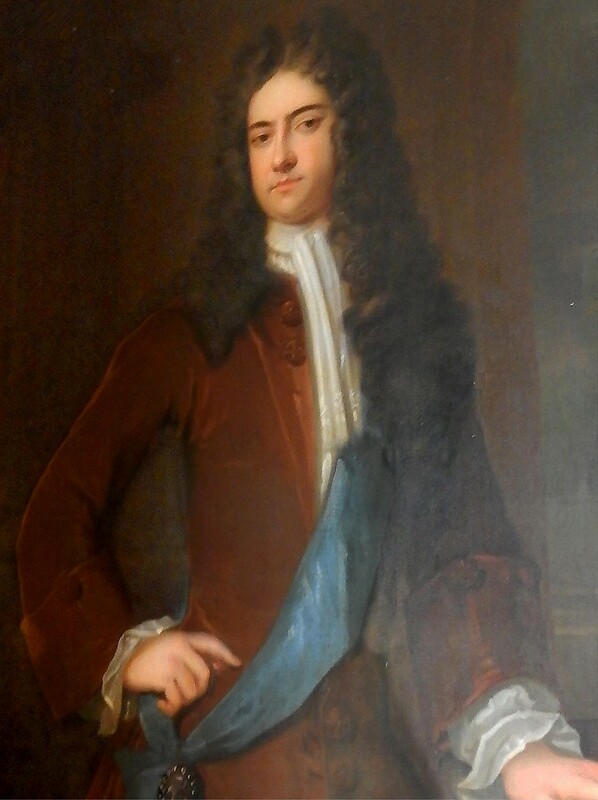 Among these was a certain James Graham of Claverhouse, a Scotsman who had served both Charles II and James. In Ayrshire, John Graham went by “Bluidy Clavers”, held responsible for the brutal oppression of the Covenanter movement. This is probably not entirely correct: James Graham was married to Jean Cochrane, daughter to a very Presbyterian family, and in his letters he generally advocated leniency, not violence. Whatever the case, James Graham was a competent man. Among the last things James II did before fleeing England was to raise John Graham to the viscountcy by making him Viscount Dundee. 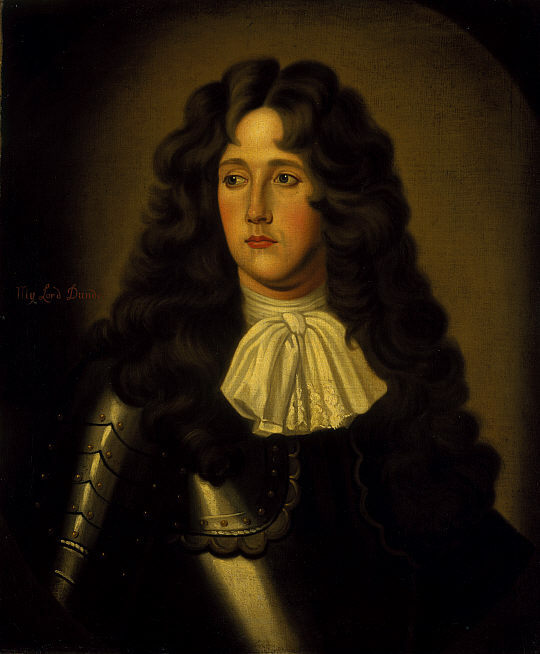 In many ways an empty gesture, but James II also made Dundee commander-in-chief of the Scottish forces. This was not quite as empty a gesture—Dundee had quite the reputation as a soldier and inspired loyalty among the men who served with him. In the beginning of 1689, Dundee did his best to convince his fellow Scotsmen that they should fight for their Stuart king. At one point, he even climbed up the extremely steep castle rock to ensure the Duke of Gordon, governor of Edinburgh Castle, remembered to whom he owed his loyalty. Gordon did, and for some months more he held the castle for the king—albeit with waning enthusiasm. To be fair to Gordon, his situation was precarious: James was nowhere close (he was in Ireland at the time) and William’s forces under Hugh Mackay were advancing north. Public opinion in Lowland Scotland was firmly with William, no matter how “Scottish” the Stuart dynasty may have been. Most Lowland Scots were suspicious of papists in general, and William of Orange had proved himself a capable defender of the Protestant faith. In April of 1689, the Scottish Estates decided to acclaim William as their king. Some days later, Dundee raised the Scottish Royal Standard, calling for all men loyal to their true king to join him. Many men did. Not quite as many as Dundee had hoped for, however, and his situation was made precarious when the Scottish Estates declared him a traitor and attempted to arrest him. Dundee entrusted his pregnant wife into the care of his father-in-law and took to the hills. Over the coming months, Dundee breathed fire into the Highland hearts. Clan Cameron under Ewen Cameron of Lochiel brought a further 1800 men to the Jacobite cause, but leading an army of Highlanders was a challenge—as was keeping them fed. It is testament to Dundee’s leadership skills that he managed to keep his troops together throughout late spring and the summer of 1689. Meanwhile, Mackay marched in pursuit, his ranks swelled by eager volunteers. For a while there, Mackay and Dundee played a complicated game of hide-and-seek, neither of them willing to commit to a full out confrontation. When Dundee heard Mackay was trundling north and making for the pass at Killicrankie, he mobilised with speed. Here was a golden opportunity to wreak havoc on Dutch William’s men, and Dundee intended to make the most of it. Killicrankie was a two-mile pass, on one side bordered by the river Gerry, on the other by steep hills. Mackay must have been aware of the risk he took, but his information was probably not entirely up to date so it must have come as quite a surprise when Mackay’s army emerged from the pass only to find the slopes facing them bristling with Jacobite soldiers. Retreating down the narrow track was the equivalent of suicide and so Mackay did the only thing he could do: he prepared for battle. He deployed his men, had his artillery move forward and then he waited for the Highlanders to charge. After all, everyone knew that once the Highlanders charged, discipline went out their head and Mackay was probably gambling on them becoming so disorderly he’d be able to fight back. Mackay waited. And waited. He waited some more. His men were beginning to fidget. It was a nerve-wracking experience to stand in front of the slope, knowing full well the Highlanders had all the advantages on their side. Mackay’s men had the Gerry at their back, they couldn’t run left or right and before them the Highlanders had their muskets and swords at the ready. The July afternoon waned. Men were thirsty and hungry and probably in need of a human break or two. Still, the Highlanders did not move. Guns roared, but Mackay’s cannon were too far away to cause any damage, nor did the shots provoke the Highlanders into doing something. Dusk began to seep upwards from the ground. The sun dipped out of sight. At last, Dundee ordered his men to attack. Wave after wave of Highlanders came rushing down the slope. Mackay’s men did not stand a chance. Many of them were untrained, few had seen real action and here they were, staring at a horde of roaring men wielding swords. Many turned and fled. Most of these drowned in the Gerry. Some tried to jump across, but the river was too wide, and man after man fell to die in the waters. Others were hewn down, incapable of withstanding the sheer momentum of the Highlanders who came leaping down the hill. There was blood, there was gore, there were screams. Men died, men fell. 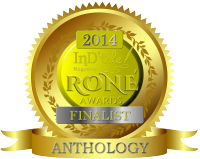 Bodies were trampled underfoot as the Highlanders rushed onwards. Approximately 2000 of Mackay’s 3500 men died. The Jacobite army had won the day and one would have thought the coming night would have been spent in rejoicing. But it wasn’t only Mackay’s men that died. The Jacobites had losses of their own. In the final minutes of the battle, Dundee was hit by a musket ball just below his breastplate. By the time the battle dust had settled, Dundee was dead. He had won the battle but lost his life. Even worse, the Jacobite army had lost its general. The victory at Killiecrankie was therefore flavoured with the bitter taste of crushed hope. Without the gallant and talented Dundee, the Stuart cause in Scotland was a dead duck in the water. Mackay and 500 or so of his men managed to escape when the victorious Highlanders turned to looting Mackay’s baggage train. Desperate and exhausted, they made it to Stirling Castle, there to regroup. Some months later, Mackay led his troops to a decisive victory over the Jacobites at Dunkeld. The First Jacobite Rising had come to an end, but over the coming six decades or so the men of the Scottish Highlands would die repeatedly on behalf of the Stuarts—right up to the crushing defeat at Culloden. 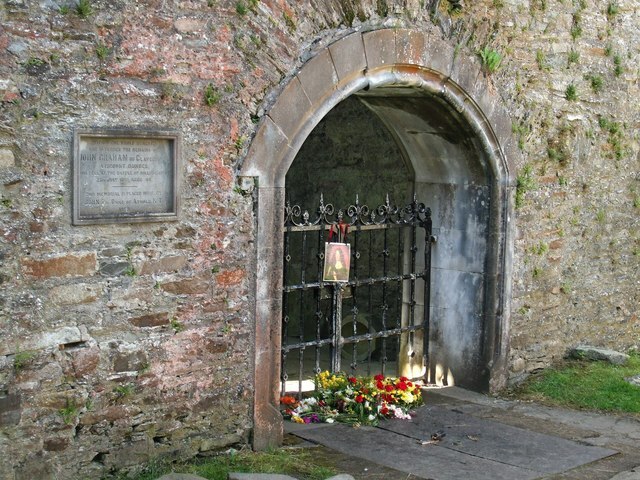 Dundee was buried in St Bride’s crypt, Blair Castle. Some months later, his wife gave birth to a son—Dundee’s only known child. By then, Dundee was already becoming a legend, a valiant man who would rather die than betray his king. Not much of a comfort to his widow, I imagine. You have not seen the last of my bonnet and me!" For it's up with the bonnets of Bonny Dundee! 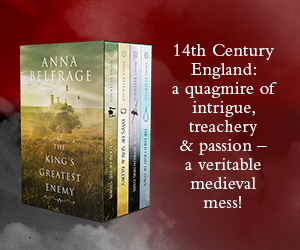 Anna's most recent series is The King’s Greatest Enemy, a series set in the 1320s featuring Adam de Guirande, his wife Kit, and their adventures and misfortunes in connection with Roger Mortimer’s rise to power. The fourth instalment, The Cold Light of Dawn, was published in February 2018. 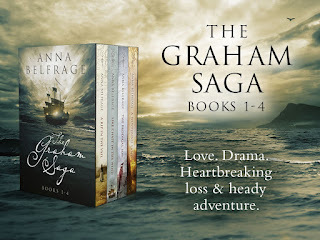 When Anna is not stuck in the 14th century, she's probably visiting in the 17th century, specifically with Alex(andra) and Matthew Graham, the protagonists of the acclaimed The Graham Saga. 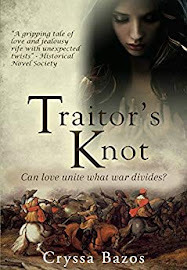 This is the story of two people who should never have met – not when she was born three centuries after him. The ninth book, There is Always a Tomorrow, was published in November 2017. Anna has recently published the first book in a new series, The Wanderer. A Torch in his Heart tells the time-spanning story of Jason, Sam and Helle who first 3 000 years ago and have since then tumbled through time, trapped in a vicious circle of love, hatred and revenge. About 790, Frankish King Charles (Charlemagne) had a proposition for Mercian King Offa: one of Offa’s daughters marry one of Charles’s sons. 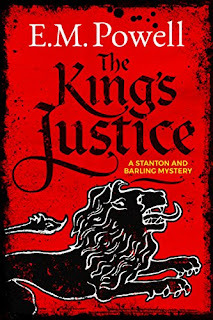 Charles likely saw this as a way to secure an alliance between a powerful kingdom in England and his vast realm—stretching from the Atlantic to east of the Rhine, from the North Sea to the Pyrenees and part of Italy. If Charles did not sire any other sons, the bridegroom, his son Charles (whom I call Karl in my books), stood to inherit all but Aquitaine and northern Italy. Gervold, abbot of St. Wandrille, served as Charles’s envoy to work out the details. The two kings likely brought their wives into the discussions. 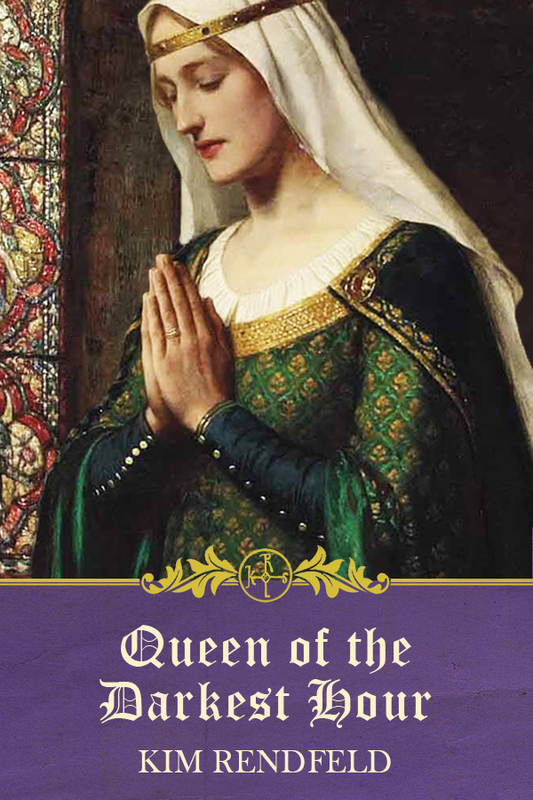 Frankish Queen Fastrada and Mercian Queen Cynethryth were both strong-willed women. Although Karl might have also favored the marriage, but we don’t know the sentiments of the young woman involved. In some modern eyes, princesses and other young noblewomen appear to be pawns. In medieval parents’ minds, daughters had an important role in forming the alliances and swaying their husbands to uphold her family’s interests. A husband would think his wife should convince his in-laws to side with him. Offa, who had seized power in 757 during a civil war after the murder of his cousin, was no exception. Although one daughter, Æthelburh, was an abbess—an influential position—another daughter, Eadburh, wed Beorhtric, king of Wessex. 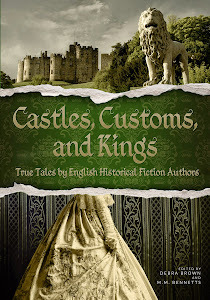 The marriage solidified Beorhtric’s claim to his throne, and the father- and son-in-law drove out Ecgberht, son of Kentish King Ealhmund and a rival for the West Saxon crown. Offa made his own offer to Charles. 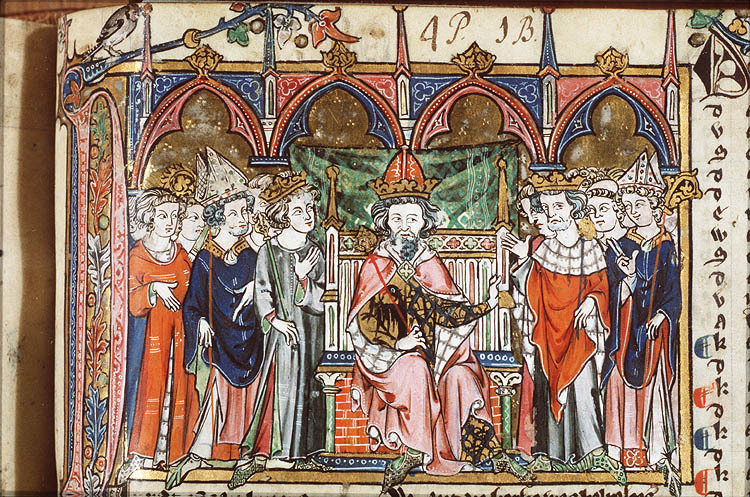 He would only agree to the Frankish king’s proposition if Charles’s daughter Bertha married his son, Ecgfrith. Crowned co-ruler with his father in 787, Ecgfrith was quite the bachelor, assured of succession. Offa had, ahem, reduced the number of claimants to the throne. But why Bertha, too young to marry at only age 11, and not her older sister, Hruodtrude, who was the marriageable age of 15? Hruodtrude had been betrothed to Byzantine Emperor Constantine, whom she never met, but that agreement fell apart a few years before. Apparently Offa was willing to wait a couple of years as he expanded his rule into Kent. Perhaps, he thought the marriage of Charles’s second daughter to his son would remind the Kentish folk of a successful royal couple from long ago: a Merovingian princess named Bertha and Æthelberht, the most powerful Anglo-Saxon king in the late sixth century. Charles was not having it. Not at all. While he was willing for Offa’s daughter to come to Francia, learn the ways of the Frankish court, and benefit from the scholars there, he might not have wanted his own child to live in Mercia. He might have heard firsthand accounts of Offa’s ruthlessness and did not wish to subject Bertha to it. Charles became angry, and that led to Mercia and Francia closing their ports to each other’s merchants. Yet I wonder if the cause of Charles’s ire was something in addition to a failed betrothal. Perhaps, Offa brought up another issue. Charles was sheltering Ecgberht, among other exiles, and that must have irked Offa, who still saw Ecgberht as a threat. Might Offa have demanded Charles surrender his guest as a condition for their children’s marriage? If that was the case, I can imagine Charles feeling indignant. Still, it turns out that Bertha was better off staying at home. Offa died in 796, and his son succeeded him, but Ecgfrith’s reign didn’t last even a year. He died, likely not of natural causes. 796 was a bad year for Ælfflæd, too. Her husband, Æthelred, had been a ruthless ruler, and two ealdormen took matters into their own hands and murdered him. Ælfflæd might have joined her sister Æthelburh in the cloister, a common refuge for a widowed queen. Karl himself never married. The reason remains a mystery. Had politics not interfered with Karl and Ælfflæd’s betrothal, what kind of a couple would they have been? We’ll never know. 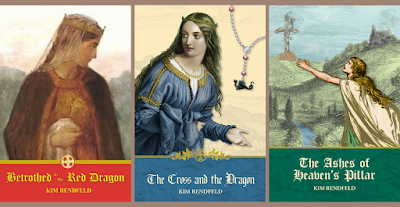 This story appears in Kim Rendfeld's third novel Queen of the Darkest Hour. In Kim's version of events, Queen Fastrada must stop a conspiracy before it destroys everyone and everything she loves. The book is available on Amazon, iBooks, Barnes & Noble, Kobo, and Smashwords. A paperback copy of THE KING'S JUSTICE, the first in E.M. Powell's bestselling new medieval mystery Stanton & Barling series, is being offered. For a chance to win a copy, please leave a comment below. Don't forget to leave your contact details. 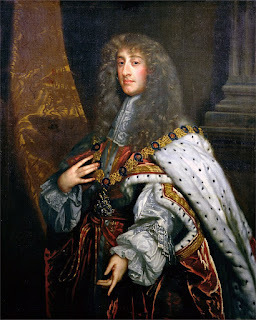 James II of England and VII of Scotland had two Protestant daughters with his first wife but following his second marriage to the teenage Mary Beatrice of Modena, the birth of a son in 1688 meant that there was now a Catholic heir to the throne. The baby was sickly and expected to die, but his survival led to rumours that the royal baby had been swapped for another in a warming pan. James’ inconsistent domestic and foreign policy meant that friends and foes were suspicious of him. Louis XIV of France, who should have been his greatest ally, was puzzled by his vacillating support for France and had never forgiven James for agreeing to a marriage between his eldest daughter Mary and William III of Orange, instead of to the dauphin. William of Orange had been preparing to invade England since June and invited by parliament, he landed with his army in Devon in November 1688. James made a half-hearted attempt to resist but distraught that his son-in-law would take such action against him and deserted by his other son-in-law, Prince George of Denmark, he returned to Whitehall. Determined to save his young wife and baby son, he sent them to France, into the protection of an unprepared Louis XIV. James tried to follow and was captured but he was allowed to make a second successful escape to France. To all but his most loyal supporters, he was widely regarded to have willingly renouncing his right to rule, in other words to have abdicated. Had he been more astute, James could have saved the Stuart dynasty in Scotland, as Scotland did not have to accept the new English monarch. The Scottish Convention of Estates asked both candidates to promote their suitability by letter. William of Orange promised the Scottish people that he would respect and maintain the Protestant faith, while James’ appeal was considered arrogant and threatening. 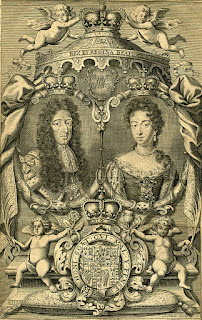 The Convention invited William and Mary to accede to the Scottish throne. 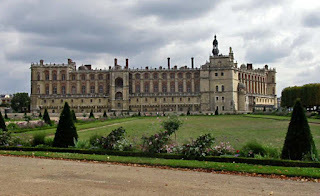 The exiled court of James II settled at the chateau of St. Germain-en-Laye, just outside Paris, as guests of Louis XIV. Louis’ relationship with the exiled court was courteous and hospitable but often tense. Numbers varied from 1,000 to almost 2,000 residents, who had to be supported financially by the French king. Louis XIV had great concerns about the unreliability of the Jacobite court and maintained high levels of surveillance of their movements and communications. Privately, Louis felt that few men of ability had joined the court in exile. Mary Beatrice of Modena had considerable influence on Louis XIV through her lively intelligence, her social confidence and her beauty. Despite the tension between the men, the royal families met often. 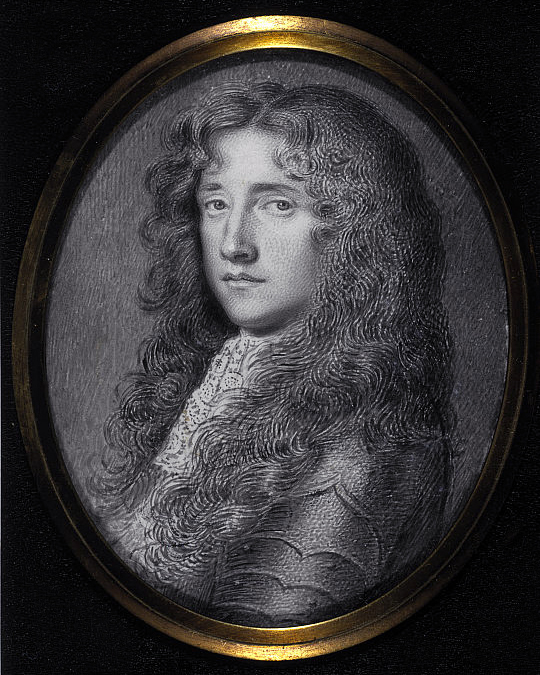 Frustrations arose on both sides as James II continued to pursue unrealistic ambitions to regain his throne, while Louis XIV used the Jacobites’ hopes to support French interests. James pressed for an invasion of England or Scotland, while Louis thought that a Jacobite presence in Ireland, supported by French military strength, would divert English attention from the French. 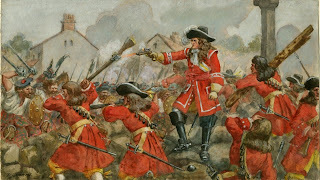 James’ reluctant expedition to Ireland to fight the Williamite forces was financed by the French and ended in a rout at the Battle of the Boyne in 1690. 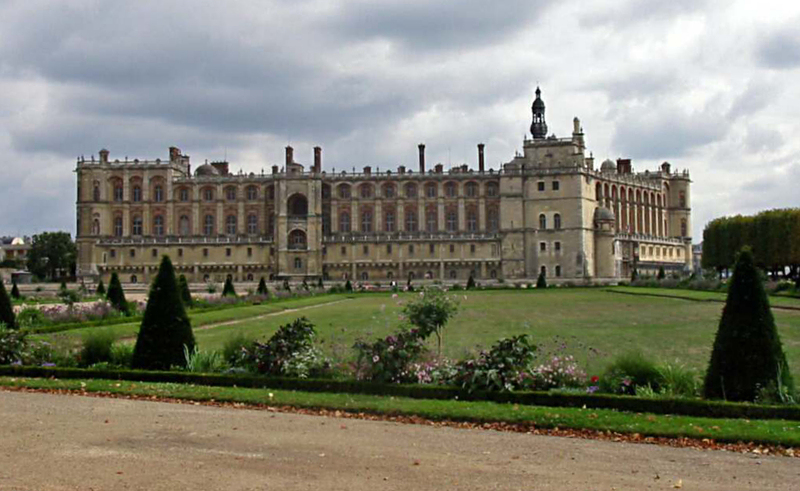 James II fled the battlefield and once back in France he asked Louis to support an immediate invasion of England. Louis refused, maintaining that a rebellion must already be underway in England before he would agree. In 1692, Louis was finally persuaded to support an invasion of England as James’ sources reported rising Jacobite support in England and it was believed that Admiral Russell of the English fleet would desert to the French. 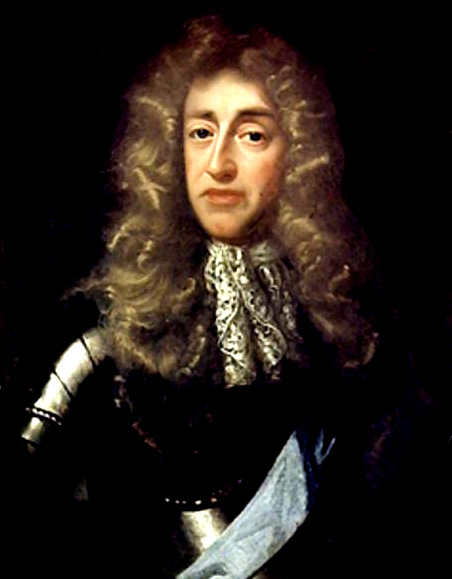 However, news of the invasion leaked and at the same time James II published an ill-timed proclamation that destroyed public support for him in England. When James reached Cherbourg, he found the French fleet damaged by a storm. Tourville, the commander of the French fleet, advised against the attempted invasion but was ignored. In May 1692, the French fleet was destroyed at Cap La Hogue by a combined Anglo-Dutch fleet, the greatest military disaster of Louis’ reign. Preoccupied by the birth of his baby daughter, James made an error of judgement in sending the insensitive Earl of Melfort to account for the failure of intelligence. Louis was furious and in 1693, the French recognised William III as king of England. Thereafter, there were fewer social contacts between the courts. James planned another invasion in 1696 but Louis remained adamant that there would only be French support if there was an active rebellion in England. At the same time, the Jacobite conspirators hoped the landing of a French army might awaken the English people to their cause. Unfortunately, the conspiracy was uncovered and linked with a plot to assassinate William III. The plotters were arrested, and both James II and Louis XIV were implicated. Louis was again enraged and his relationship with the exiled court became even more distant. He let it be known through his wife Madame de Maintenon that he would never again rely on intelligence from the Jacobite court. The remaining years of James II’s life were dominated by failing health and there were no further invasion attempts. 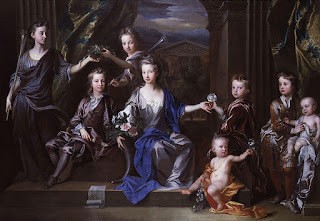 James II died in 1701 and Louis recognised his son, James Francis Edward Stuart (later nicknamed The Old Pretender) as the true heir to the English throne. However, there was little enthusiasm in England for a boy who had been raised in France and was a stranger to his native land. For the Scottish people, the end of the Stuart dynasty had brought a decade of natural and political disasters. There were ten years of failed harvests and the struggle between France and England for dominance in Europe, severely affected Scottish exports. Young men were drafted from the fields to supply the Scots regiments fighting the wars in Europe, depleting Scottish agriculture of men to work the land. The failure of the Darien Scheme contributed significantly to Scotland’s financial ruin, since half the nation’s capital had been invested. Originally, the scheme was a joint English/Scottish enterprise to establish new trading colonies in Caledonia and the English were widely blamed in Scotland for the failure of the project. When William of Orange died in 1702, his successor Queen Anne pushed hard for parliamentary union between England and Scotland. The view from Westminster was that the Scottish parliament was beyond control. A joint Anglo-Scottish parliamentary commission drew up a draft Treaty of Union in 1706 but the union was opposed by both the Jacobites and the Church of Scotland; an uncomfortable political liaison. The Jacobites feared that political union would end the dream of a Stuart restoration and the church feared the undermining of Scots Protestant tradition. The Act of Union was ratified in 1707, through a combination of reasoned argument, bribery and political coercion but was universally unpopular with ordinary people. The Jacobites’ exploited Scottish unrest following the Act of Union and promoted their cause as one of Scottish nationalism. The words ‘No Union’ now appeared on their banners. In 1708, mindful as ever of the possibilities of using the Jacobite cause to distract the English government from the campaign in Europe, Louis XIV financed another attempted invasion of Scotland. A combination of young James’s ill health, bad weather and navigation problems meant that the French fleet could not make land and the conspirators were arrested long before the French ships appeared in the Firth of Forth. The English parliament believed that the Scots failed to adequately punish the conspirators and a series of provocative legislative acts were passed that threatened to undermine the promises of the union. Huge taxes were exacted on key Scottish exports such as linen, salt, cattle and Scotland was forbidden to trade with the English Colonies. In England too, there was little enthusiasm for their difficult neighbours to the north and in 1713 an attempt to repeal the Act of Union was defeated by only a narrow margin. Had it been successful, the political fervour that led to the Jacobite uprising of 1715 might have been avoided. 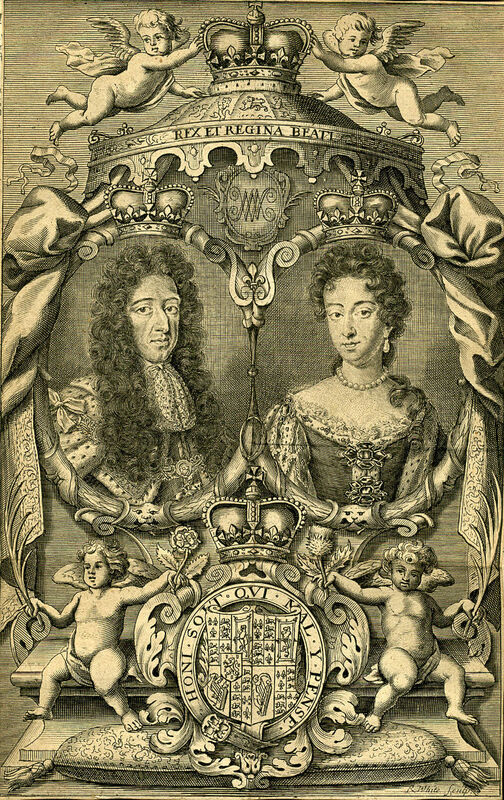 George of Hanover came to the throne in 1714. John Erskine, the Earl of Mar had been Secretary of State for Scotland under Queen Anne and had played a key role in preparing the Articles of Union. He anticipated a similar political role under George 1st and when this was not forthcoming, he became a militant Jacobite almost overnight. This sudden change of heart, combined with a cautious and indecisive nature, earned him the nickname ‘Bobbing John’. In September 1715, Mar called together the clans and lowland lairds of Scotland on the pretext of a hunting party. The Stuart standard was raised on the Braes of Mar and war declared on the union. It was estimated that Mar had control of 10,000 men, the strongest ever Jacobite force, formed from an extraordinary alliance of Catholics, Episcopalians and Presbyterians, Lowland lairds and Highland chiefs. The support of peers from the English border regions, represented by the Earl of Derwentwater, was crucial. The Jacobite force remained in Perth and Inverness until October 1715, allowing the government forces ample time to arm, while Bobbing John waited for support from the French. Finally, he sent two thousand men south under the command of an experienced soldier, Mackintosh of Borlum. Borlum reached Kelso and Jedburgh where he was joined by a few hundred English soldiers led by Thomas Forster, MP for Northumberland. Forster wanted to head for Liverpool, where he believed there was popular support, but disagreement led to further delays and prevarication. The force did eventually aim for Liverpool but they met nothing but hostility on their way. By the time they reached Preston, five hundred clansmen and borderers had gone home. On November 12th, the Jacobite army fought with great bravery and held Preston against the Hanoverian battalions. The next day, facing a reinforced Hanoverian army, Forster surrendered. Nineteen Scots and two English peers were arrested and condemned to death. Twenty-two ordinary soldiers were hung at Preston and hundreds more soldiers and officers transported to the colonies. On the same day as the defeat at Preston, the Earl of Mar fought against the Duke of Argyll’s force at Sherriffmuir. Despite Mar’s military superiority the outcome was inconclusive, and Mar retreated to Perth. There, he waited until December 17th when James, once again in poor health, landed at Peterborough. Although James marched in triumph into Perth and Dundee, faced with the Duke of Argyll’s advancing army, he gave the order to burn all the land, animals and homes ahead of Argyll’s troops, leaving ordinary people to starve through the Scottish winter. James retreated to Montrose and left for France in February 1716, his reserved and aloof manner having disappointed all who met him. 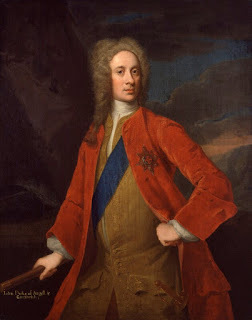 The Jacobite cause fell silent for thirty years until the young Charles Edward Stuart (Bonnie Prince Charlie) attempted a second Jacobite rebellion in 1745. After trying many different forms of writing, in 2005 Morag Edwards decided to focus on the novel and took a leave of absence from her work to do a full-time M.A in creative writing. 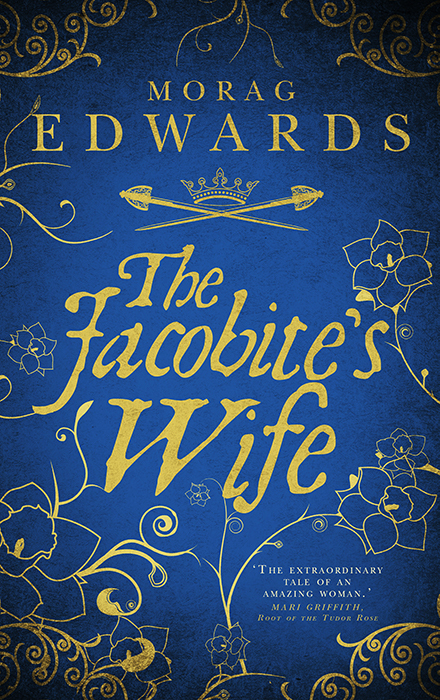 The Jacobite’s Wife is her first published novel and is a fictionalised account of the life of Winifred, Countess of Nithsdale from the ‘Glorious Revolution’ of 1688 to the aftermath of the Jacobite uprising of 1715. Winifred aided her husband’s escape from the Tower of London on the eve of his execution in 1716. Researching Winifred’s life story revealed a headstrong, impulsive and ultimately wise woman whose turbulent life story needed to be told. As a child psychologist, Morag used her knowledge of child development and adult relationships to try and understand what drove Winifred but there remains much room for conjecture. She looks forward to hearing the views of readers! After John Bargrave “the youngest” sold the house to Sir Arthur Slingsby in 1662, the house had a family in residence again. Sir Arthur was knighted at Brussels in June of 1657, and was granted a baronetcy by letters patent in 1658 at Bruges. He was married, and had two sons and two daughters. Sadly, Sir Arthur died in 1665, at which point his son Charles succeeded to the baronetcy and the estate. 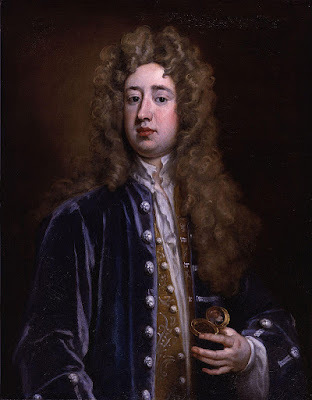 Sir Arthur was buried in Patrixbourne on February 12, 1665. Sir Charles sold Bifrons in 1677. This sale was to the first of three or four additional owners. Little is known about the owners of Bifrons until it was purchased by John Taylor Esquire in 1694. John Taylor was born December 7, 1655. He was the son Nathaniel Taylor Esquire, who had represented Bedford County in Parliament, and had served as recorder for the city of Colchester in Essex under Cromwell. John married the daughter of Sir Nicholas Tempest, baronet, from Durham. Her name was Olivia, and the couple had six sons and one daughter. The two oldest children were Brook (his father’s heir) born August 18, 1685, and Herbert (who succeeded his brother) possibly born sometime in early 1698 (he was baptized May 15, 1698). Sadly, only the two oldest boys survived. Olivia died in 1716. She was buried in Patrixbourne. 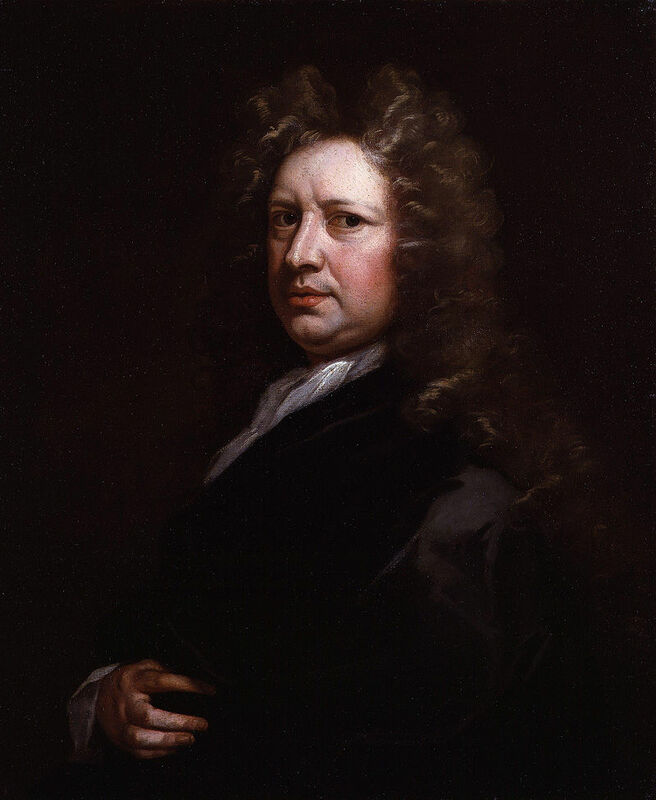 John represented Sandwich in Kent in Parliament 1695-1698, and again from February-November 1701. John Taylor died April 24, 1729 and was also buried in Patrixbourne. He was succeeded by his son Brook. Brook Taylor was a learned mathematician and a fellow of the Royal Society. He became secretary of the Royal Society in 1714, the same year he completed his degree at Cambridge. He was married to Elizabeth Sawbridge, and they had one child, a daughter, also named Elizabeth. Robert died in London in 1731 and was buried in St. Anne’s. His brother Herbert succeeded. Herbert Taylor was a member of the clergy, being the rector of Hunton and the vicar of Patrixbourne. He married Mary Wake, and the couple had two sons: the oldest was Herbert who succeeded his father, and the younger was Edward who succeeded his brother. Reverend Taylor died September 29, 1763 and was buried in Patrixbourne. His older son Herbert never married, and died November 19, 1767 in London. He was only 36 years old. His brother Edward, now Reverend Edward Taylor, inherited. Reverend Edward Taylor was married to Margaret Paylor in 1769, and they had 5 sons and 6 daughters, the oldest being a son Edward born June 24, 1744, who was his father’s heir. The house remained in Edward’s hands, but he moved to a nearby estate and leased Bifrons to John Loftus, the second Marquess of Ely in 1825. The Marquess was the first tenant and lived there 2 years between 1825-1827. In 1828, the house was let Anne Isabella (Annabella) Byron, baroness, Lord Byron’s estranged wife, and her daughter Ada. The house remained in the Taylor family’s hands until, about April of 1830, when Edward Taylor sold Bifrons House to Henry Burton Conyngham, 1st Marquess of Conyngham and his wife Elizabeth (born Dennison), realizing possibly as much as 100,000 pounds. The Conynghams were an interesting couple. Henry Conyngham was born December 26, 1766, was Irish and succeeded his father as 3rd Baron Conyngham in 1787. He was later made Viscount Conyngham of Mountcharles in the Irish peerage in 1789. He married Elizabeth Dennison July 5, 1794. She was the daughter of a wealthy merchant turned banker. The couple was not themselves particularly well off, until Henry was rewarded for his support of union with Great Britain in the Irish Parliament. 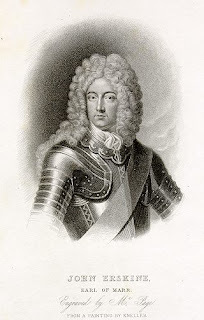 When the smoke cleared after the Act of Union passed, he received (among other benefits) 15,000 pounds for his borough in the Irish House of Commons and was made the Earl Conyngham in the Irish peerage. They had 2 sons and 2 daughters. His wife’s friendship with the Prince Regent, later George IV, propelled them to court circles around 1812. She became the Prince’s last mistress around 1820. Lord Conyngham benefited from the friendship and her later position as mistress, receiving titles (including the title of Marquess in 1816), a position on the Privy Council and other benefices. Lady Conyngham became a person of influence at court, which lasted until George IV’s death early in the morning of June 26, 1830. Lady Conyngham left for Paris the next day. The Marquess remained in England, and died in London December 28, 1832, at the age of 66. He was succeeded by his oldest son Francis. Lady Conyngham had not made herself popular while the king’s mistress, and consequently spent a great deal of time thereafter in Paris. She retained the use of the house until her death, apparently living there when not in Paris. Her son Francis, 2nd Marquess of Conyngham, did a great deal of work in Patrixbourne, including the remodelling of Bifrons House, especially after his mother’s death. She died in Bifrons House October 11, 1861. It appears that the family left the area permanently in 1874, but held the ownership of the property. It was leased to several different tenants including Frank Penn, a famous cricketer. The last tenants were Col. The Hon. Milo Talbot and his wife. Apparently, after the Colonel died in 1932, Mrs. Talbot continued to live in the house until shortly before, in 1939, it was requisitioned for use by the military; Canadian soldiers were housed there. It was used for military purposes until the war ended. 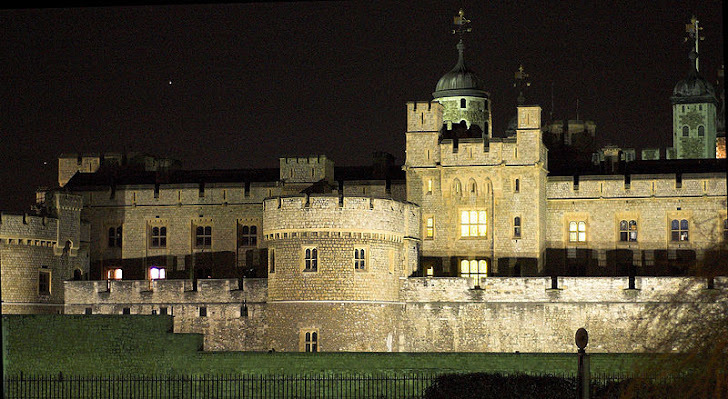 It was razed in 1945, as it was deemed too damaged to repair. 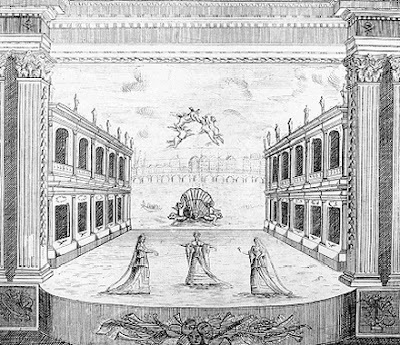 See Bifrons House: The Beginning for the sources used. Lauren Gilbert was introduced to English authors early in life. Lauren has a bachelor of arts degree in liberal arts English with a minor in Art History. A long-time member of JASNA, she has presented various programs at the South Florida Region, and a breakout session at the the Annual General Meeting in Ft. Worth, TX in 2011. She lives in Florida with her husband. 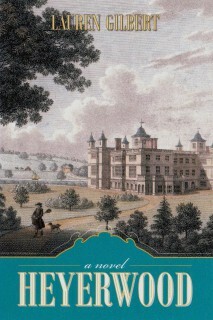 Her first book HEYERWOOD: A Novel is available. She is finishing a second novel, A RATIONAL ATTACHMENT. Susanna/h Percival was likely born in 1667. Her father, Thomas Percival, was a lesser actor in the Duke's Company of players, and as did many a young person of her era, she entered the family business. Her initial stage appearances may have taken place during her childhood but by 1681, when she was about 14, she was performing with the King's Company in Drury Lane. Her first known role was the vulgar character Welsh Winnifred in Thomas D'Urfey's play Sir Barnaby Whig. In 1683, as a member of the United Company at the Dorset Garden Theatre, she was seen in a breeches role, listed in the bill as Mrs Percival--actresses, whether wed or not, were typically referred to as "Mrs". From the start of her career her skill for comedy and her attractiveness in male costume were apparent to playgoers, and managers and playwrights exploited these assets. She married a handsome and popular fellow player, William Mountfort/Mountford, on 2 July, 1686, at the church of St. Giles in the Field. Apparently she was one of the rare respectable actresses who maintained her virtue until her wedding day, for Sir George Etheredge observed that, "Mrs Percivall [sic] had only her youth and a maidenhead to recommend her." He, along with Dryden, thought little of Mrs Mountford's talents in these early years--perhaps because of the limited, low-comedy nature of her parts. Over time, however, she was given more sophisticated roles, often performing opposite her charming husband. Playwrights sometimes relied on the couple's marital partnership as inspiration. Mountford, who wrote as well as performed in plays, included his wife in his compositions, creating more of the breeches roles for which she was so popular. He is also credited with inventing the immortal phrase "be still my beating heart," a line in his play Zelmane. 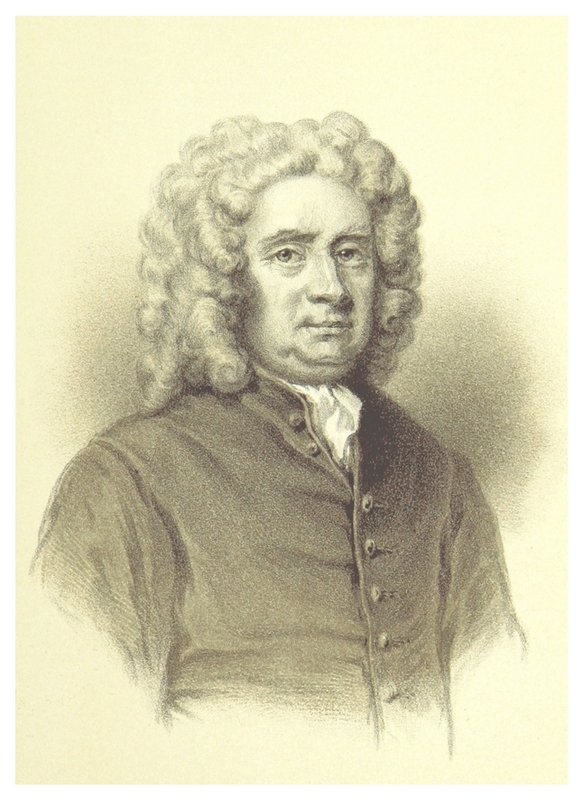 In 1690, Thomas Southerne provided Susanna's most successful character in his play Sir Anthony Love. Its principal character Lucia disguises herself as "Sir Anthony" in order to live as freely as the male rakes. The epilogue contained a reference to Susanna: "You'll hear with Patience a dull Scene, to see,/In a contented lazy waggery,/The Female Mountford bare above the knee." Not only were her legs admired. According to Anthony Aston, she was a "fine, fair woman, plump, full-featured; her face of a fine, smooth Oval, full of beautiful and well-disposed Moles on it, and on her Neck and Breast… Whatever she did was not to be called acting; no, no, it was what she represented. She was neither more nor less, and was the most easy actress in the world." Her home life must have been as taxing as her professional life. She bore three children in quick succession: Susannah (b. 1690); an infant son who died (1691); and Elizabeth, who suffered the same early death as her brother (1692). By late 1692 she was pregnant once more, but tragedy prevented her husband from meeting his fourth child. Mohun, aged only fifteen, concocted a plan to kidnap the actress from the theatre and force her into marriage. The intended abduction was prevented at the last minute, further provoking Hill's rage, and he hastened to Mountford's house in Howard Street to lie in wait. The actor returned home from the theatre quite unaware that his life was in peril. As he conversed with Mohun, Hill moved forward with sword brandished. After stabbing his supposed rival, he promptly fled. Lord Mohun was seized. The wounded Mountford was carried to his bed, where he died the next morning. A thousand people attended the actor's funeral at St Clement Danes. 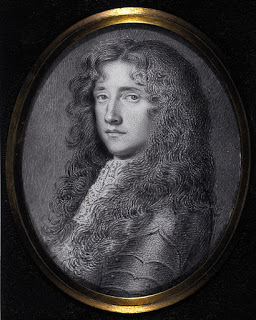 His popularity with the monarchs was such that the Royal Chapel choristers sang at the service, and court musician Henry Purcell played the organ. On that sorrowful occasion, the great church bell cracked from repeated tolling. Susanna gave birth to a fatherless daughter the following April and christened her Mary at St Clement's. Captain Hill had escaped, first to the Channel Islands and then to the Continent, and thus could not be tried for the actor's murder. But the House of Lords did hear the case against his conspirator Lord Mohun, and promptly voted acquittal. Susanna fully intended to appeal what she regarded as a most unjust verdict, but was prevented by another family tragedy. Under this most unparalleled affliction she was introduced to Queen Mary, who being as she was pleased to say struck to the heart upon receiving Mrs Mountfort's petition, immediately granted all that was in her power, a remission of her father's execution, and afterwards was graciously pleased to procure a mitigation of his sentence, which was changed to that of banishment [transportation]. But Mr Percival being weakened by his long imprisonment fell ill upon the road and died at Portsmouth. 1. John Verbruggen agrees that, for a payment of £75, his wife will act in the theatre. 2. Susanna Verbruggen to have £4 out of £20 ... if this does not amount to £105 per year (i.e £3 a week for 35 weeks) this sum shall be made up to her. At the end of every 6 acting days (except when the young actors play for their own benefit) she shall have £3 till the whole £105 is completed. If, on the other hand, her share comes to more than £105 she shall be allowed to keep it. Later that year a backstage scandal threatened the Verbruggens' livelihood. One evening after a Drury Lane performance of Southerne's Oronooko, the Duke of St Albans (illegitimate son of King Charles II and actress Nell Gwyn) visited Susanna's dressing room. This infuriated her husband, who struck the duke and called him the "son of a whore." Assualting and insulting a peer of the realm was a most unwise action, considering that players were royal servants. And the duke, though illegitimate, was by blood first cousin of the King and the Queen. On learning of the incident, the Lord Chamberlain advised Verbruggen to make a public apology to St Albans from the stage, or else lose his place in the company. The next evening the actor complied, however his apology was couched in such terms that it hardly negated the insult. He retained his place at Drury Lane. 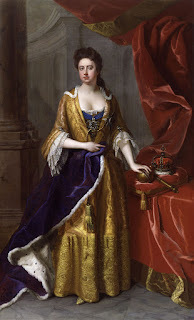 Susanna's opinion of what occurred, and her precise relationship with the duke, if any, remain a matter of speculation. In 1697 Verbruggen broke with Drury Lane, after verbally abusing Skipworth, striking another individual, and breaking the peace. When he left to join Betterton's troupe at Lincoln's Inn Fields, Susanna remained at Drury Lane--fortunate for its proprietors. Her importance and popularity was as considerable as her talents. She played society coquettes, ladies disguised as men, and low-life characters with equal flair and success. 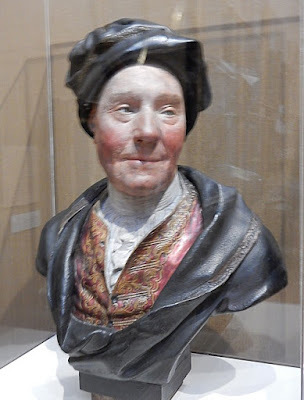 One of Susanna's greatest admirers was Colley Cibber, as proved by his descriptions of her in his memoirs. Mrs Mountfort, whose second marriage gave her the name of Verbruggen, was mistress of more variety of humour than I ever knew in any one woman actress. This variety too was attended with an equal vivacity, which made her excellent in characters extremely different. As she was naturally a pleasant mimic, she had the skill to make that talent useful on the stage a talent which may be surprising in a conversation and yet be lost when brought to the theatre….But where the elocution is round, distinct, voluble, and various as Mrs Mountfort's was, the mimic there is a great assistant to the actor. Nothing, though ever so barren, if within the bounds of nature, could be flat in her hands. She gave many heightening touches to characters but coldly written, and often made an author vain of his work that in itself had but little merit. She was so fond of humour, in what low part soever to be found, that she would make no scruple of defacing her fair form to come heartily into it…. In the summer of 1703 she failed to accompany her fellow players to Bath, pleading illness--she was pregnant. She went into labour on 2 September, and died in childbirth. Her husband, who after her death performed with various London companies and in Dublin, outlived her by just five years. One hopes that she found satisfaction in the artistry that pleased her audiences so well. 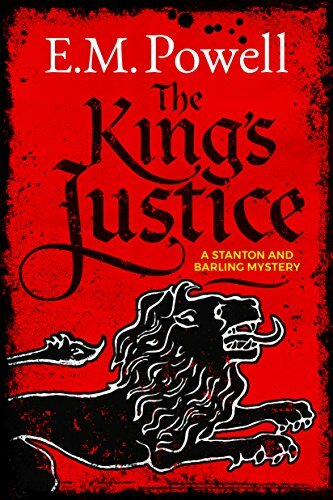 Several incidents described above appear in my recent novel about the Duke and Duchess of St Albans, and in researching Susanna I both liked and pitied her. On stage she portrayed independent women of spirit, yet it seems that the men in her offstage life--to whom she was so valuable--held the balance of power. And it is these men only whose portraits survive, and illustrate this article. Margaret Porter is the award-winning and bestselling author of twelve period novels, whose other publication credits include nonfiction and poetry. 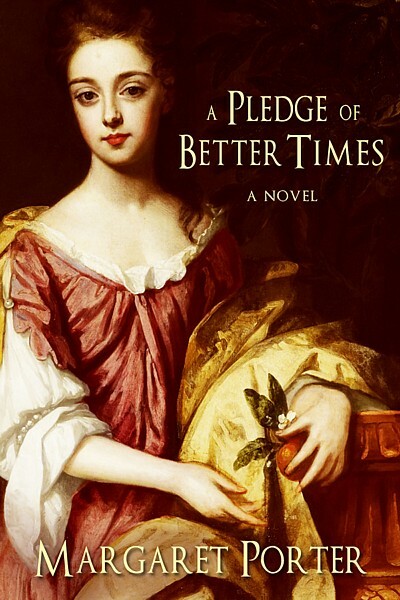 A Pledge of Better Times, her highly acclaimed novel of 17th century courtiers Lady Diana de Vere and Charles Beauclerk, 1st Duke of St. Albans, is her latest release, available in trade paperback and ebook. Margaret studied British history in the UK and the US. As historian, her areas of speciality are social, theatrical, and garden history of the 17th and 18th centuries, royal courts, and portraiture. A former actress, she gave up the stage and screen to devote herself to fiction writing, travel, and her rose gardens.